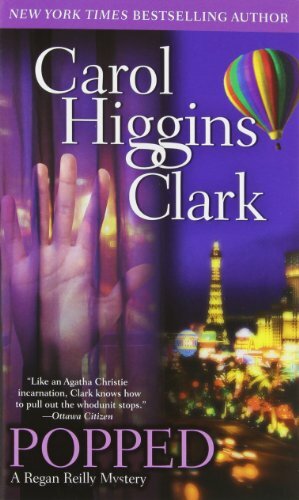 by Carol Higgins Clark | Literature & Fiction | This book has not been rated. From the back cover:"Popped takes us from the kitschy glamour of the Las vegas casinos and run-down hotels off the Strip to the world-famous Albuquerque Hot air Balloon Fiesta - a funny, fast-paced romp." I enjoyed this book and am now interested in hot air balloons. It might be fun to go up in one. Released for week #23(double letters in the title) of Never Judge a Book By its Cover. Enjoy! Will make more detailed notes after release. Placed on the bookshelf at Starbucks at Oak & 22nd.